BUCHAREST – Magistrates with the High Court of Cassation and Justice are hearing today a new session of the appeal in the case of fictitious jobs issued at the child assistance department in the county of Teleorman, a case in which the chairman of the ruling Social Democratic party, Liviu Dragnea, got a definitive sentence of 3 years and 6 months. The case has been postponed several times, due to controversies regarding the size of the panel of five judges. In June 2018, the court issued a guilty verdict for Liviu Dragnea for instigation to abuse of public office. Anti-corruption prosecutors accused Dragnea of spuriously employing two party members from his position of president of the Teleorman County Council. The two were granted public wages, even though they worked exclusively for the Social Democratic Party. Liviu Dragnea denies all charges. INFRASTRUCTURE – Three infrastructure project contracts have been signed Sunday night in Bucharest, according to PM Viorica Dancila. The contracts have been granted for a 13 km stretch of the Pitesti- Sibiu motorway, the first to cross the Southern Carpathians, an 18 km stretch of the Bucharest beltway, and the third for the M5 branch of the Bucharest metro. STRASBOURG – The European Parliament meets today in its last session in Strasbourg, with an agenda including debates on the state of the rule of law in Romania.  In a resolution passed last November, the legislative expressed concern regarding recent changes in the Romanian legal system, warning that they could jeopardize the separation of powers, undermining the fight against corruption. The debate comes at the request of the European Popular Group, but no resolution will be passed regarding the issue. HEALTHCARE – As part of Romania's presidency of the Council of the European Union, Bucharest hosts the informal meeting of health ministers. The first session of the meeting is dedicated to access to medication, innovative and expensive treatment, while the second session is dedicated to cross-border medical assistance and patient mobility. The Romanian presidency of the Council believes that guaranteeing access to healthcare for all European citizens is a central pillar of the healthcare policy of the EU, and that investments in healthcare are a crucial element in reducing social and economic disparity. BUCHAREST – The parliament in Bucharest has under debate today the motions introduced by the opposition in justice, the economy, and the energy system. Lacking a quorum last week, the Senate postponed twice the debate on the motion introduced by the Liberal Party and the Save Romania Union against Justice Minister Tudorel Toader, calling on him to withdraw what they call negative changes to criminal law codes, and to take into account recommendations made by international experts. Senators are also debating the motion filed by the two opposition parties against Finance Minister Eugen Teodorovici, accused by them of promoting policies with a negative effect against the economy. Deputies are also discussing a motion against Energy Minister Anton Anton. Liberals claim that their move will draw attention on price hikes for electricity and natural gas. At the same time, they claim that lack of investment amounts to a threat to the country's energy security. AGRICULTURE – Romanian Minister of Agriculture and Rural Development, Petre Daea, presides today over the agriculture and fisheries meeting of the Council of the European Uinon in Luxembourg. This is the third council presided over by Romania since taking over the presidency of the Council of the European Union. VIETNAM – Prime Minister Viorica Dancila hosted today in Bucharest her Vietnamese counterpart, Nguyễn Xuân Phúc. Their two countries have had consistent economic exchange growth in the last few years, with multiple opportunities for cooperation in areas such as oil, gas, automotive building, IT, and agriculture. PM Dancila said that Romania wants to become a major partner for Vietnam. The two heads of government signed a memorandum of understanding between the Romanian Ministry of Agriculture and Rural Development and the main food safety authority in the Republic of Vietnam.